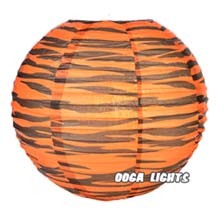 Tiger Striped Paper Lantern - 14" Dia. 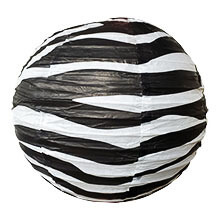 Zebra Striped Patterned Paper Lantern - 14" Dia. 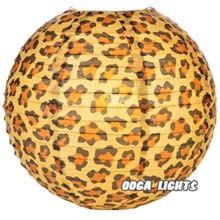 Leopard Spotted Paper Lantern - 14" Dia. 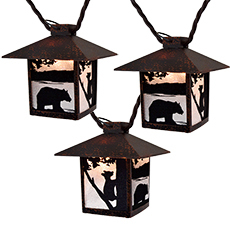 Wild Bear Lantern Party String Lights - 10 Lights - 10 ft.
Decorate your home in colorful animal printed lanterns! 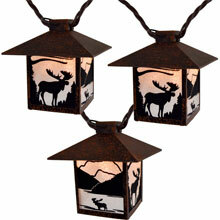 With 10 nylon lanterns, this animal printed lantern light strand is perfect for indoor or outdoor use. 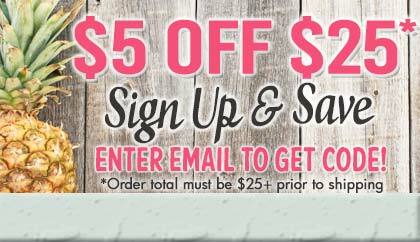 They are great on patios, in windows, on decks, or anywhere else in or outside your home. 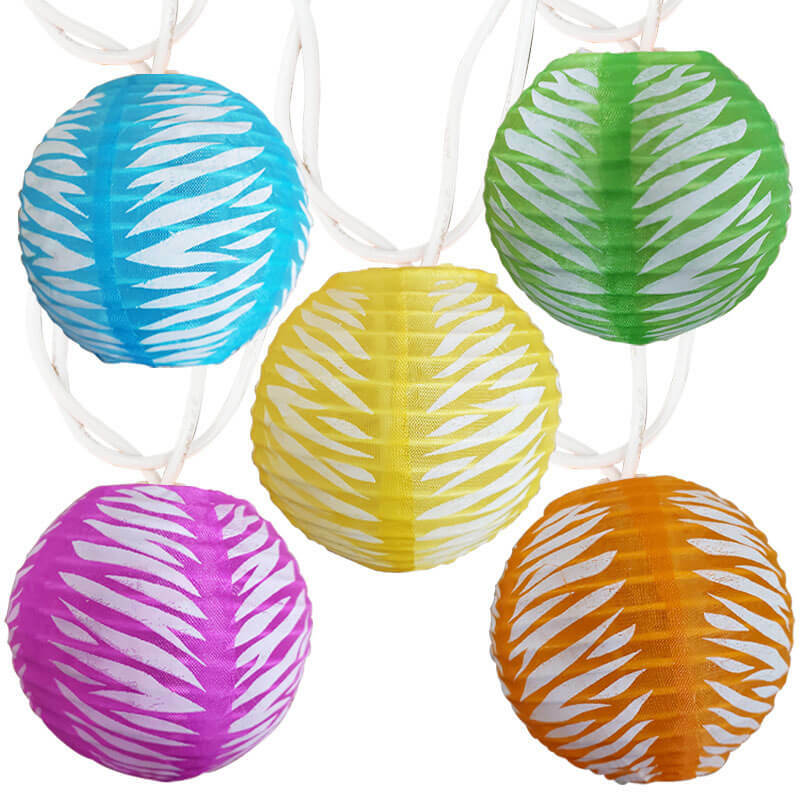 The Animal Print Lantern String Lights include 2 of each color: purple, yellow, orange, blue, and green. 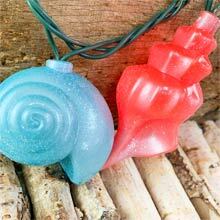 The Animal Printed Lantern Lights features 10 nylon lantern lights on a 11 foot white strand. Note: If one bulb burns out the strand will not stay lit. 4 extra steady burning bulbs are included.